This easy balsamic strawberry asparagus salad takes advantage of asparagus and strawberry season, as well as using the bbq to roast the asparagus. With a drizzle of balsamic reduction, and fresh basil, this side dish is a great blend of spring/summer flavours. Pre-prepare balsamic vinegar reduction by bringing to boil, reduce temperature and simmer until reduced by half. Preheat bbq to high heat. Drizzle olive oil over asparagus, and grill for 3 – 5 minutes. 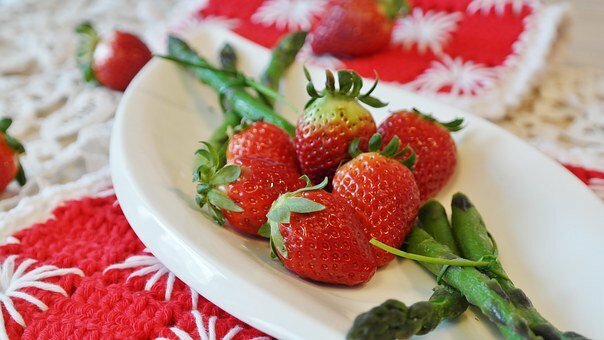 Divide asparagus among the plates and top with sliced berries, basil, and salt and pepper.